Reduce your website to a tangible form -- in other words, type out the text, insert the graphics and perform any other acts necessary to make it viewable on a computer screen. Although Canadian copyright law does not protect mere ideas, your website is subject to common-law copyright protection as soon as you create it -- you don't even have to put it online. Place a copyright notice at the bottom of each page of your website. 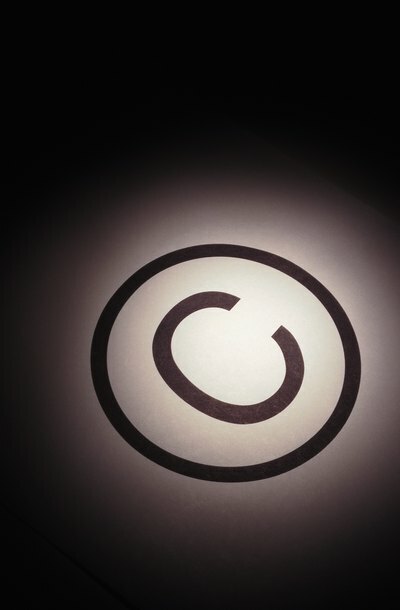 A copyright notice includes the copyright symbol -- the letter C in a circle -- as well as the name of the copyright holder and the year of first publication. The year of first publication means the year you intend to put it online. Although Canadian copyright law no longer requires the use of the copyright symbol, a copyright symbol deters infringement and helps defeat a defense of unintentional infringement in the event of a lawsuit. Create a user account on the Industry Canada website, click on the "Copyrights" tab on the left-hand side, and follow the on-screen prompts to navigate to the online copyright registration application issued by CIPO. Complete the copyright registration application. You must provide the name of your website, and you must categorize it. If your website is mostly text, for example, you might categorize it as "literary." You must also provide publication details such as the date your website first went online, information about the copyright owner, and information about yourself if you are not the copyright owner. You must also include contact details that would allow a potential licensee to request permission to use portions of your website. You don't need to upload a copy of your work. Pay the filing fee of $50 online using a credit or debit card and submit your application. CIPO will review it and, if it finds no problems, send you a copyright certificate. Your copyright certificate constitutes legal proof of registration. CIPO may contact you later if questions arise concerning the content of your website.